When you see Horley in Blackwater he will tell you about helping out some of the local law enforcement in the area. One of the law men you can help is located in the town of Tumbleweed. This sheriff will have a mission for you to complete. To help you complete this mission, check out the Love and Honor guide below. 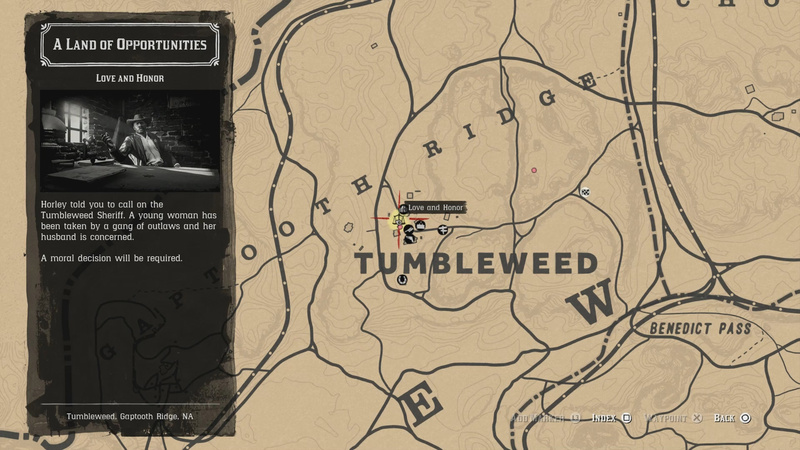 You will find the Love and Honor mission in Tumbleweed. A young woman has been taken by a gang of outlaws and her husband is concerned. A moral decision will be required. This mission requires 2 – 4 players. When the mission starts you and your group will be close to the gang hideout. 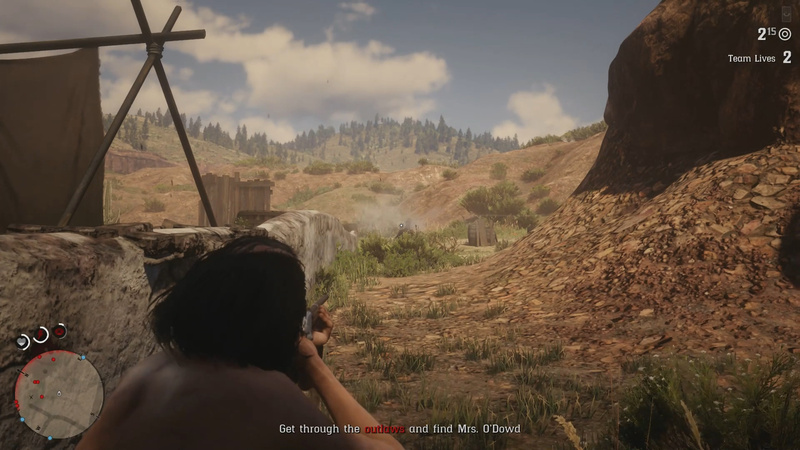 When you start the mission you will watch a brief cutscene featuring Terrence O’Dowd and the Tumbleweed Sheriff. O’Dowd wants the Tumbleweed Sheriff to go and get his wife back from some bandits at Twin Rocks. 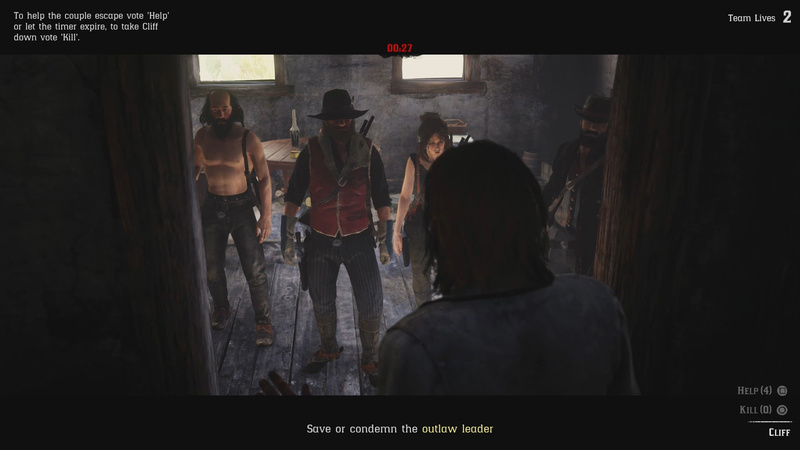 The Sheriff cant do it, so we will. First up we need to make our way to Twin Rocks. When you reach Twin Rocks you will get your next objective. To get to Mrs. O’Dowd you must clear out the gang holding her. Before we can rescue Mrs. O’Dowd, we must first clear our way through the gang that is holding her. This section simply involves killing everyone of the enemies until you trigger the Find Mrs. O’Dowd objective. If you find it difficult at all simply use any of the abundant cover to make this fight simple. When you enter the building you will watch a short cutscene. At the end of the cutscene you will need to make a choice. When I played through this mission we chose to help the couple. What follows is the rest of the mission after making that decision. 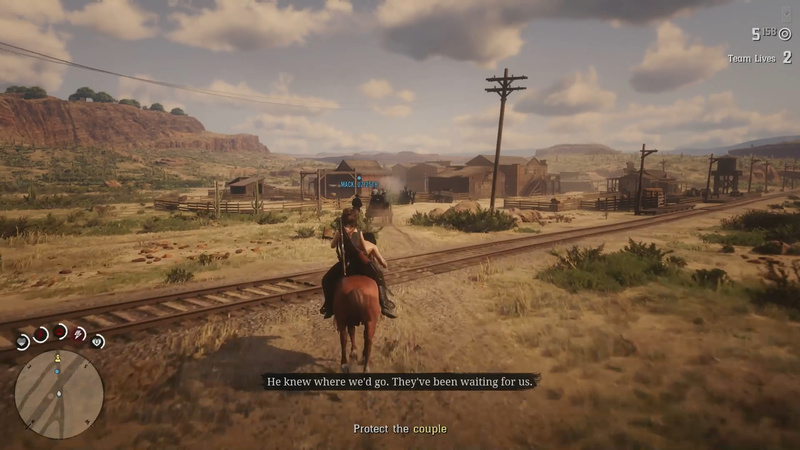 For this portion of the mission all you need to do is follow the couple’s wagon and protect them. At the end of the sequence you will see a brief cutscene and mission will end. If you choose to help the couple you will then be tasked with protecting them as they travel by wagon to their hideout. To protect the couple you need to either ride in the wagon with them or follow behind them. 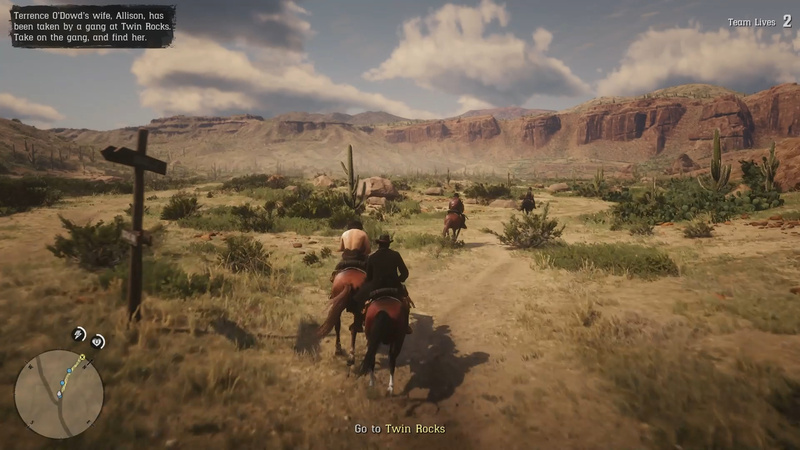 When I did this mission we had one person in the wagon and three on horseback. This worked fairly well. The sequence of following the couple takes about five minutes and basically involves following the wagon and killing enemies as they appear on either horseback or foot. Once you reach the end of the sequence, you will watch a brief cutscene and the mission ends. Taking the dishonorable road is similar to the situation above only you need to take Mrs. O’Dowd back to Mr. O’Dowd after killing the gang leader. Once you kill the gang leader, hog tie Mrs. O’Dowd and put her on your horse. Ride back to Mr. O’Dowd in Tumbleweed. As you make the ride back, you will be attacked by members of the gang. Kill the attackers (or ignore them and keep riding) and continue the long ride to Tumbleweed. When you reach Tumbleweed, take Mrs. O’Dowd off your horse and into the sheriff office. This will trigger a cutscene and the end of the mission. More to add to our Love and Honor guide? Let us know in The Pit below.